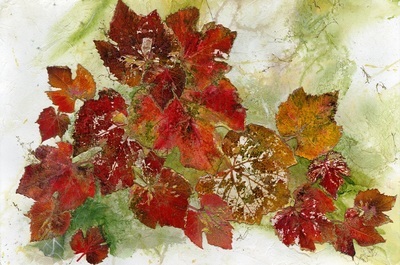 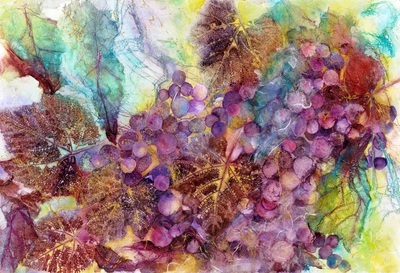 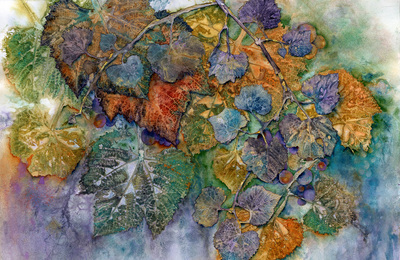 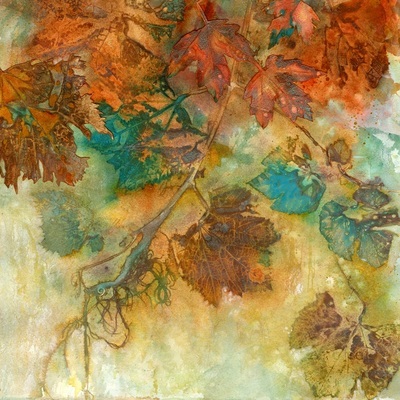 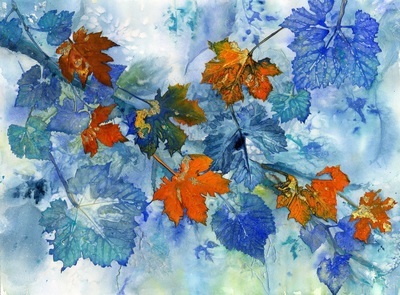 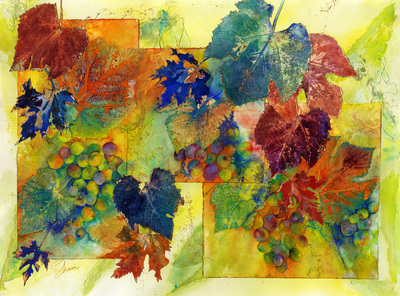 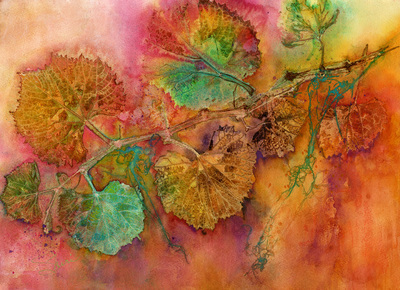 I have been working with leaves through most of my endeavors in Art. 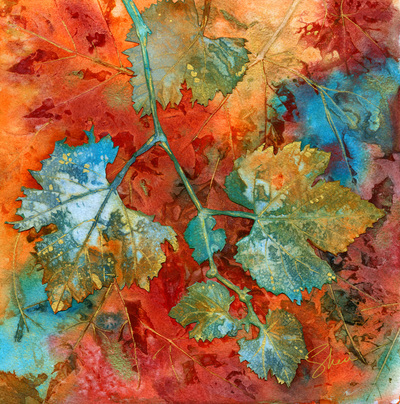 I collect leaves locally, on my travels and gratefully accept them from my friends. While living in California, I used fresh leaves with acrylic paint. 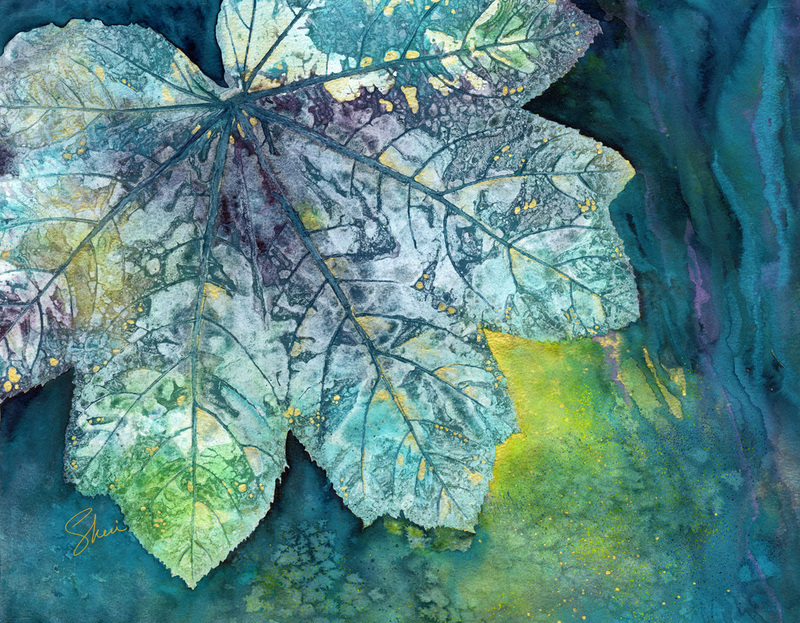 After applying paint to the leaf, I then made my "marks" onto canvas. 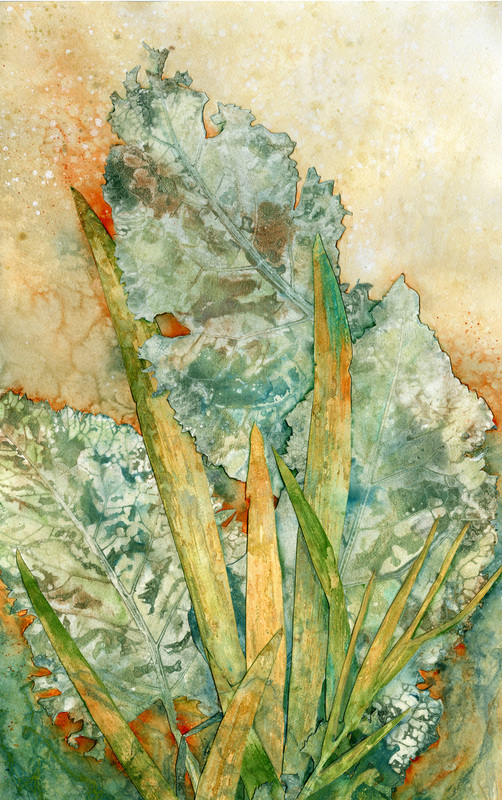 After moving to Montana, I soon realized that I didn't have access to those treasured fresh leaves in the winter, so the next spring I tried freezing them. I was delighted to find new options. 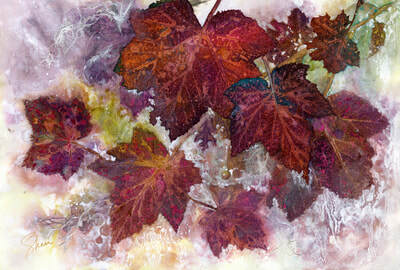 Some leaves freeze well and other don't.....they loose their body and get mushy. 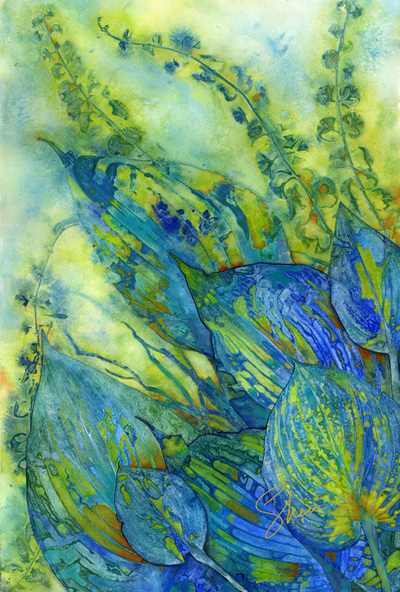 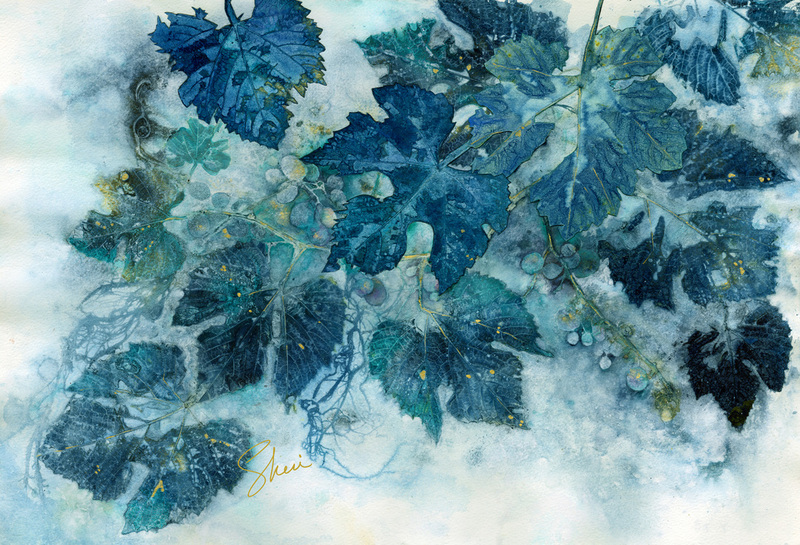 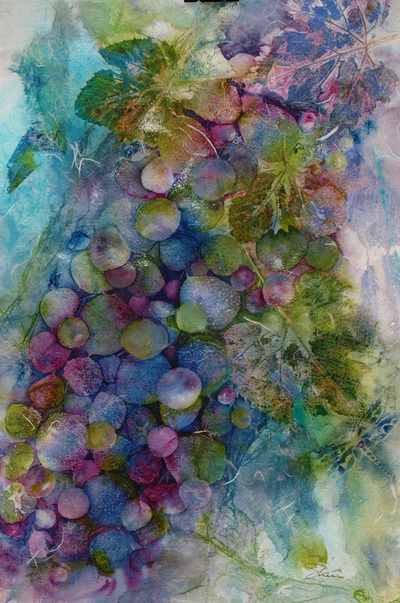 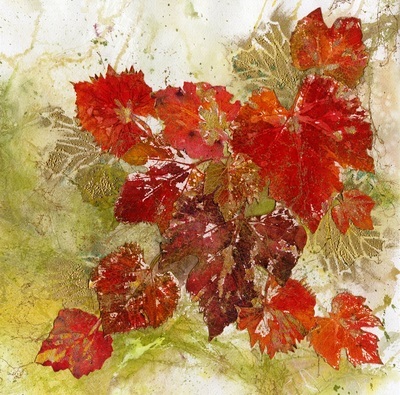 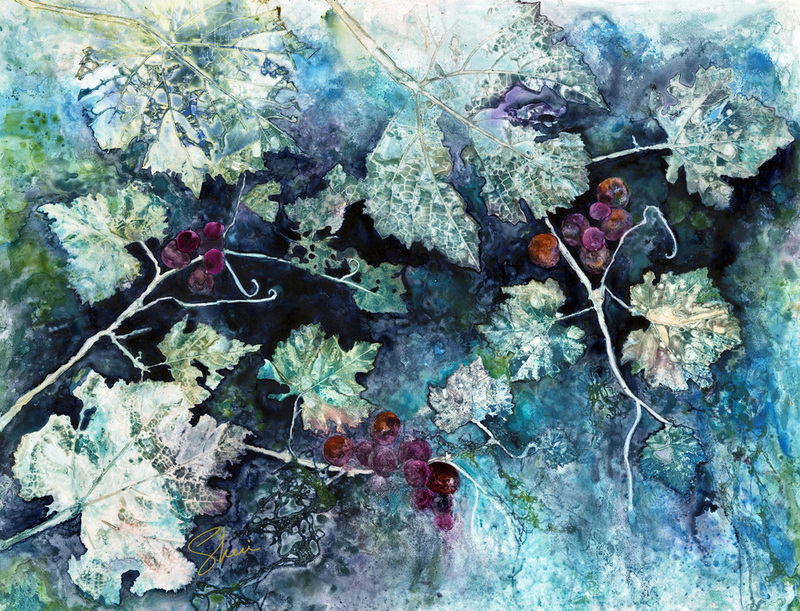 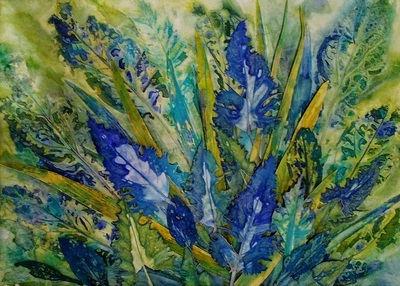 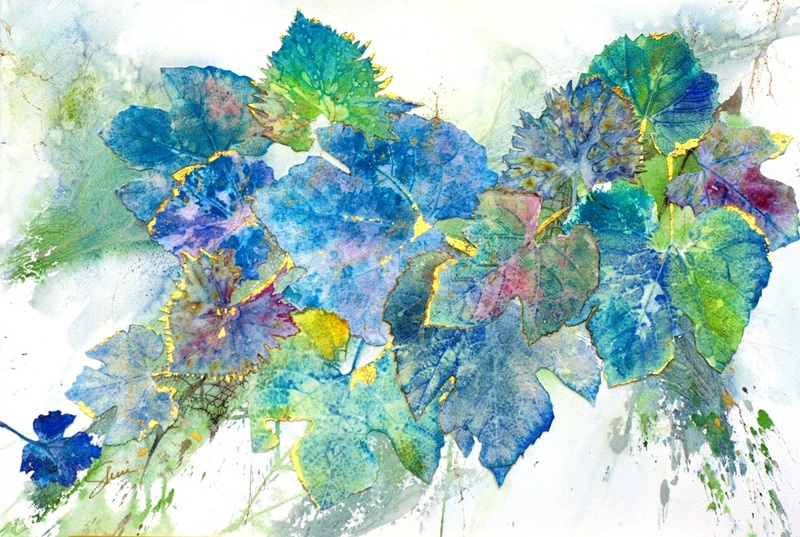 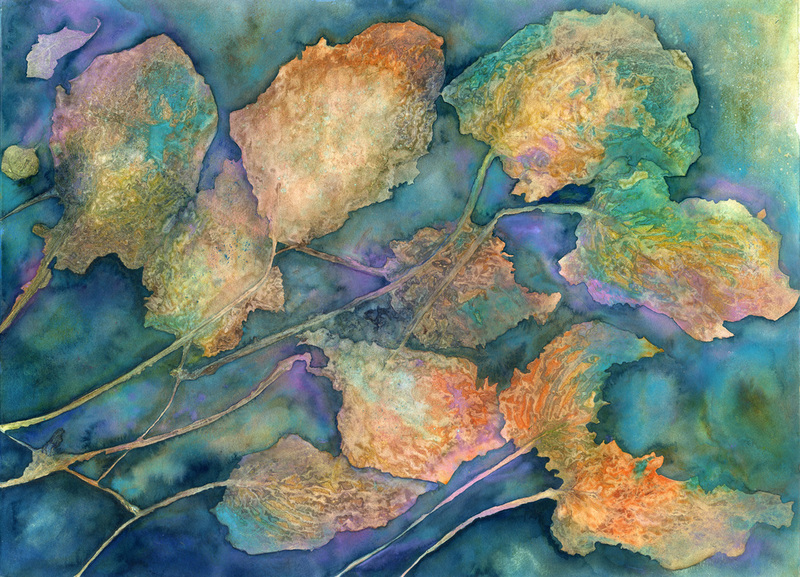 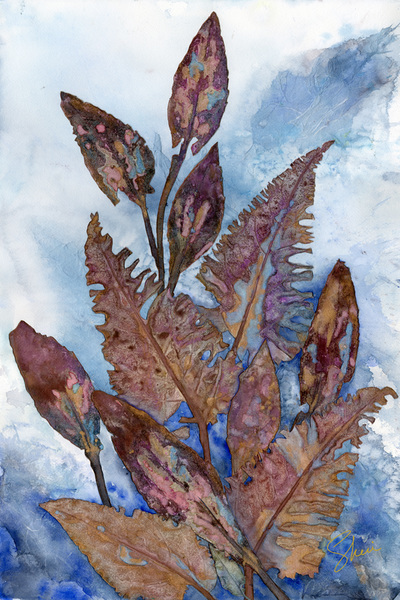 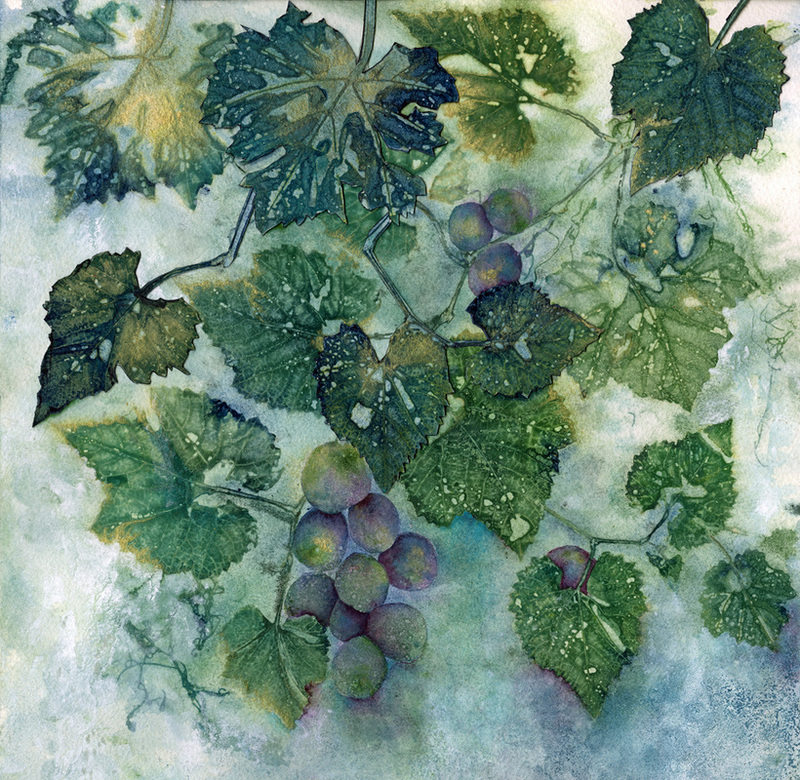 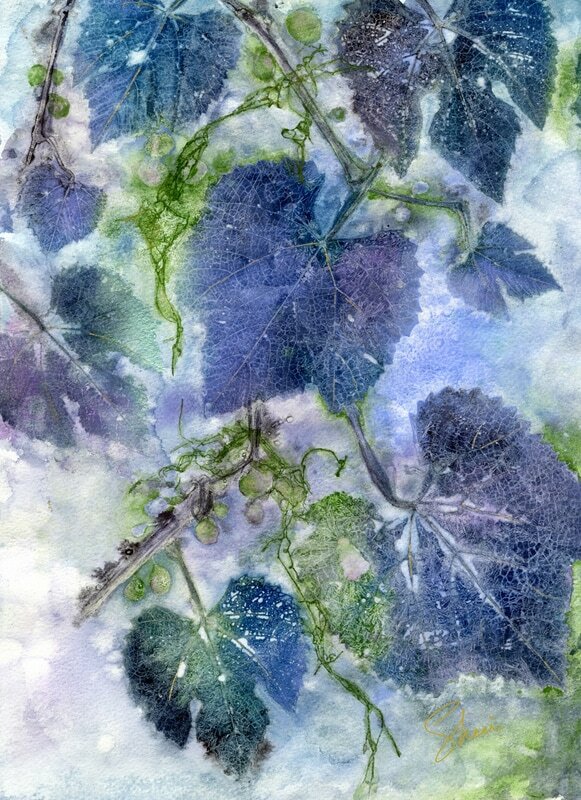 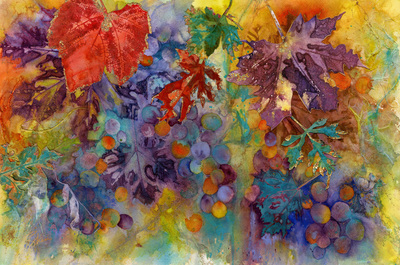 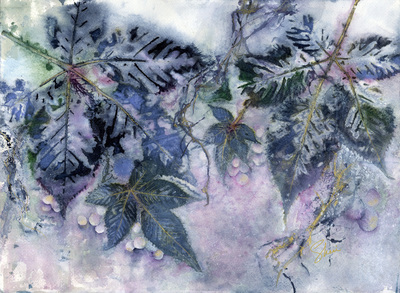 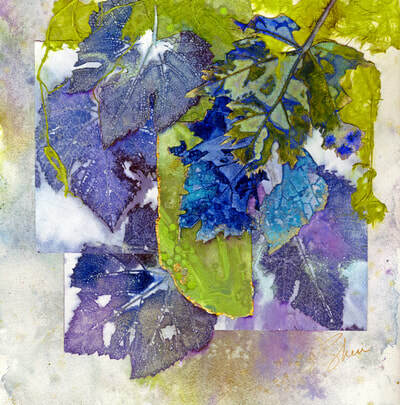 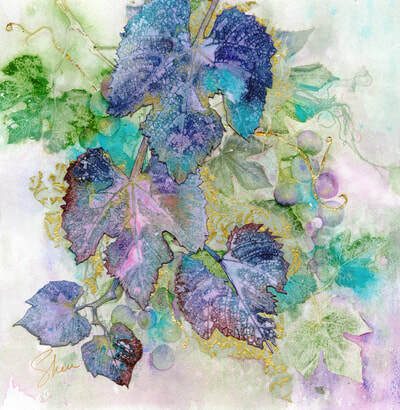 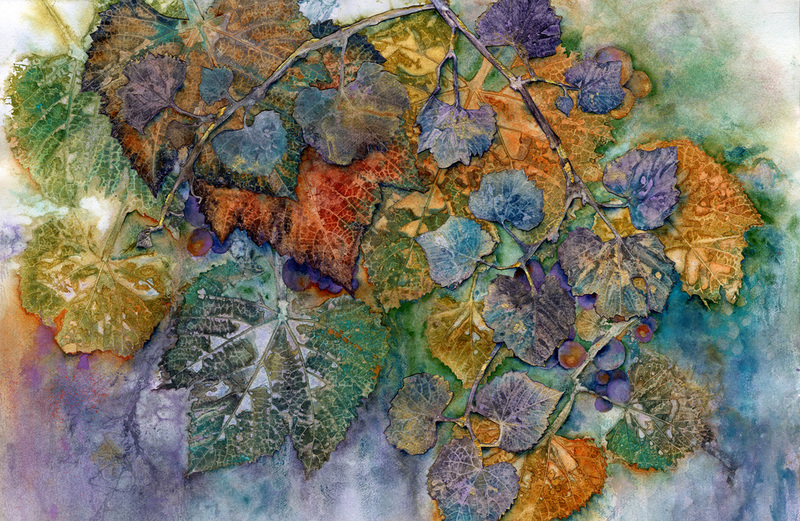 I began experimenting with watercolours when I discovered that freezing the leaf softens some of the veins and allows the leaf to sink into the paper making new exciting marks. A leaf mark made with acrylic paint is quite different than one made with watercolours. 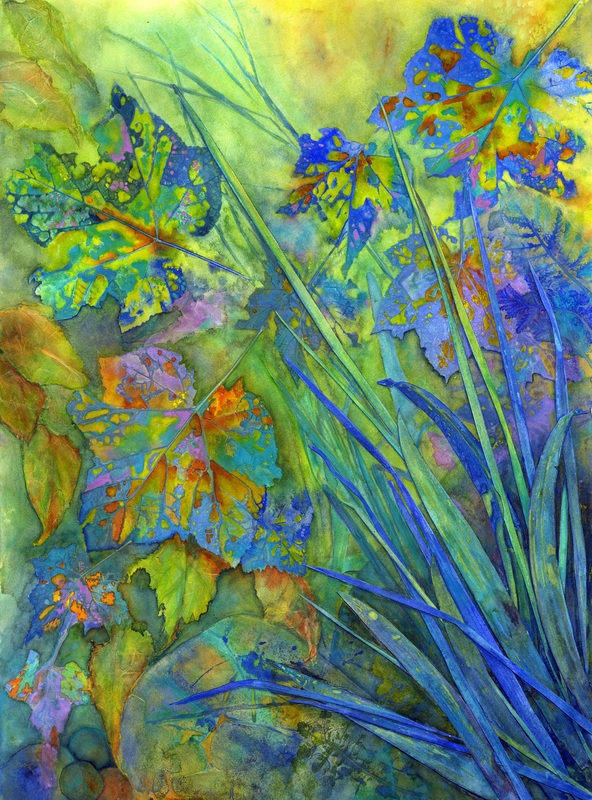 Click to enlarge, and see the details.